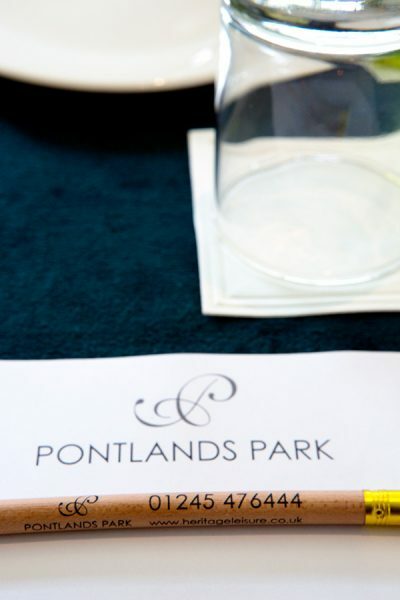 Pontlands Park offers modern conference facilities in a beautiful Victorian setting. Conveniently located two minutes from the A12 east of Chelmsford, it is easily accessible for local and national visitors with ample free car parking. Free WI-FI access is available throughout the hotel and we have a range of equipment available for hire. We offer a selection of 24 hour and day delegate rates or if you’d prefer we can tailor a package to suit your requirements. The Conservatory is the largest of our conference rooms and is fully air conditioned and has lots of natural daylight. It can accommodate up to 100 delegates theatre style or 40 delegates boardroom. The Lilli is suitable for up to 24 delegates in a u-shape or 22 delegates cabaret style and has doors opening into our well maintained gardens. The Churchill, also overlooking the garden, can comfortably seat 40 delegates theatre style or 20 delegates boardroom. The Baddow Bar has natural daylight and space for up to 30 delegates theatre style or 16 delegates in a u-shape. The Victoria and Albert can be booked individually and are perfect for smaller meetings or syndicate rooms. It is also possible to combine them for up to 16 delegates cabaret style. These are ventilated internal rooms. During the summer months our Marquee is available for larger more informal events. Please download our Conference Brochure and Terms and Conditions. To make a booking or for further information, please speak to a member of our team on 01245 476444 or email sales@pontlandsparkhotel.co.uk.